Alcohol and drugs continue to be a leading cause of fatalities on our streets and highways. An example of this occurred On June 9, 2014, in Moreno Valley, when Erika Cuevas of San Jacinto, along with several others were involved in an alcohol associated accident caused another alcohol and drug impaired driver. Tragically, Ms. Cuevas died in the accident. The accident occurred on the 60 Highway, eastbound near Moreno Beach Driver. The investigation of the accident showed that a multiple vehicle crash started after a 23 year-old Colton resident, shifted right from the carpool lane. The Chevrolet pickup truck driven by Mariah Guzman, struck a Hyundai Santa Fe causing both vehicles to lose control. Once the pickup stopped spinning, it was facing the wrong way on the freeway leaving it exposed to a head on collision. The deceased, Ms. Cuevas was driving her car and suddenly had a wrong facing truck in her lane. The two vehicles struck head on. The vehicle damage to the Kia Forte was so severe that the emergency responders had to attempt to cut out Ms. Cuevas from the car. Unfortunately, the rescuers were unable to successfully save her. Ms. Guzman was suspected of driving under the influence of drugs and alcohol and was arrested. Wrightwood also saw the loss of one of its residents as a result of a drunk driver. Helen Han a 53 year old resident of Wrightwood, was struck head-on by a drunk driver along Highway 2 on June 1, 2014. This was not the first time Amy Hinkle had been involved in drunk driving offenses. She is a repeat offender and was on probation at the time of the accident. Nearly a third of all drivers arrested or convicted of drunk driving are repeat offenders. More than 1.2 million drivers were arrested in 2011 for driving under the influence of alcohol or narcotics. Males are nearly twice as likely than females (15.1 vs. 7.9 percent) to drink and drive. The greatest number of drunk driving is found among 21 to 25-year-olds (23.4 percent). 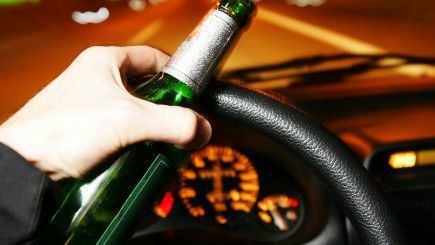 Those involved in drunk or drug driving cases, should immediately consult a personal injury attorney to assist them in obtaining the best financial recovery under terrible and tragic conditions. The Inland Empire Law Group is ready, willing and able to aid those suffering the pains of such tragedies. Call the Inland Empire Law Group, (909) 481-0100 for an educational, free and thorough evaluation of your case and your legal rights.